Marijo has devoted her entire legal career to litigating on behalf of those who have suffered immeasurable loss from a catastrophic injury or death of a loved one. Her empathetic approach to her clients, remarkable trial skills, and relentless pursuit of justice have made her one of the top women trial attorneys in the area of personal injury, wrongful death, and medical malpractice. 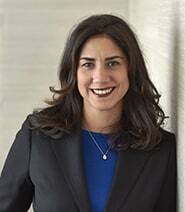 Recently named one of the “Top Women’s Litigators” in New York by Super Lawyers in 2017, Ms. Adimey has quickly become a formidable force of the Gair, Gair, Conason, Rubinowitz, Bloom, Hershenhorn, Steigman & Mackauf Team. Since joining our firm in 2014, Marijo has obtained several multi-million dollar verdicts and settlements on behalf of her clients. Marijo is honored to be a voice for those who have been injured. Her career began as an Assistant District Attorney in Bronx County, where she prosecuted cases on behalf of victims of horrific crimes. There, she became an experienced trial attorney, trying dozens of felony and misdemeanor trials to verdict. Prior to joining our team, Marijo had the privilege of representing individuals who have had the unfortunate experience of being the victim of medical malpractice or who have suffered serious physical injury or death in an accident. She continued her zealous representation in 2014 when she joined Gair, Gair, Conason, Rubinowitz, Bloom, Hershenhorn, Steigman & Mackauf whereat her exceptional advocacy and litigation skills paid off in 2017, when she became a partner of the firm. 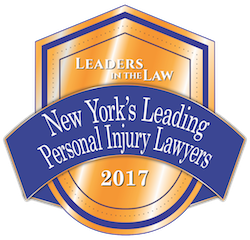 Since 2015, Marijo has been recognized by her peers each year for inclusion in The Best Lawyers in America and New York Magazine’s “Best Lawyers” in New York in the specialties of medical malpractice and personal injury. She holds an “AV” rating (highest rating) from the Martindale-Hubbell Law Directory, one of the oldest and best known peer review ratings in the United States for both legal and ethical standards. 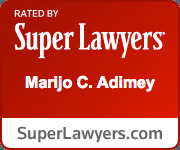 Marijo’s advocacy skills and dedication to her clients were recognized early in her career, when she was selected by her peers for inclusion in the Super Lawyers 2013: Rising Stars, an honor reserved for those lawyers who exhibit excellence in practice and published in The New York Times. She has since been selected as a “Super Lawyer” every year. She has been awarded the “Client Distinction Award” issued by Martindale-Hubbell, an honor made possible by the clients she served and awarded to less than 1% of the 900,000+ attorneys listed in Martindale-Hubbell. Marijo was appointed by the Administrative Judge for Civil Matters-First Judicial Department, as an attorney member of the Medical Malpractice Advisory Committee for the Supreme Court, New York County. She was also selected to serve a two-year term on the Judiciary Committee of the Association of the Bar of the City of New York, a committee which evaluates judges for appointment, reappointment, election or reelection to the bench on the city, state and federal level and makes recommendations for approval. Recently, Marijo was nominated and accepted to become a Board Member of the New York State Trial Lawyers Association, where she also sits on the Medical Malpractice and Labor Law Committees. She is also a lecturer for the New York State Bar Association. In just one year, Marijo obtained two of the top medical malpractice verdicts in New York. She secured a $2.5 million verdict on behalf of a Queens women who suffered an intestinal perforation during a routine EGD procedure; and a $1.32 million verdict for a Kings woman whose spleen was torn away from her colon during a routine colonoscopy. In addition, Marijo has secured numerous multi-million dollar settlements prior to trial on behalf of her clients. Marijo’s passion and commitment to her clients are what make her a zealous trial lawyer. She is a tremendous asset to the GGCRBHS&M Team. $11.5 million settlement during trial in New York County for a 39 year old woman who developed a thiamine deficiency following bariatric surgery. The thiamine deficiency went undiagnosed during a hospitalization for almost two weeks, resulting in the development of Wernicke’s Encephalopathy and permanent brain damage. $1.65 million settlement during trial in Staten Island for a 45 year old man whose influenza went undiagnosed and untreated, resulting in severe respiratory distress, multi-system organ failure, joint contractures and extensive Surgery. $750,000 jury verdict in a medical malpractice action in NY County involving an arterial injury during spinal surgery, resulting in massive hemorrhaging, placement of stent, infection and prolonged pain and suffering. $650,000 jury verdict in Kings County involving a fractured hip sustained when a patient who required one on one supervision was left unattended and fell from her hospital bed. The plaintiff underwent surgical repair of the hip, revision surgery, impairments of daily living and prolonged pain and suffering. $7.5 million settlement on behalf of an infant who suffered brain damage during delivery at a hospital in Long Island. $3.35 million settlement on behalf of an Upstate man whose leg had to be amputated above the knee after a catheter used to administer medications was placed into his artery instead of his vein and not diagnosed for over 18 hours, causing the effected leg to be ischemic. $2.5 million settlement for a young woman who lost her husband when his treating physicians failed to advise him of an abnormal finding observed on a CT scan for almost 10 months, leading to an advanced stage illness and causing him untimely death. $2.3 million settlement on behalf of a 53 year old woman whose breast cancer went undiagnosed by radiologists who performed her mammograms. The delay of a year and a half resulted in metastasis and a diminished life expectancy. $1.2 million settlement in New York County for a 34 year old man whose synovial sarcoma went undiagnosed for more than two years, despite radiologicial studies indicating a cancer in the differential workup and the need for further workup. As a result of the delay in diagnosis, the cancer spread to the young man's lungs and rendered his disease incurable. $750,000 settlement for an elderly man who sustained a perforated intestine during a Fleet Enema performed in an ER, where the man presented with complaints of constipation. As a result of the malpractice, the gentleman is left with a permanent colostomy. $750,000 settlement for a worker whose leg was crushed in between two dollies when a co-worker was negligently operating a fork-lift. $675,000 Settlement in Richmond County on behalf of the adult children of a 51 year old man after a negligently performed chest tube insertion, resulting in bronchopneumonia and anoxic-ischemic encephalopathy, and ultimately death. $500,000 settlement for a woman who sustained a permanent foot drop after a resident, under the supervision and control of an attending surgeon, misplaced three (3) pedicle screws during a laminectomy procedure. $300,000 Arbitration Award for a woman who sustained a Right Rotator Cuff Tear during in a MV accident in which she was the passenger. She required surgical intervention and extensive physical therapy following the accident, but was still left with limited mobility and range of motion. Marijo Adimey was our attorney and we cannot say enough wonderful things about her. Her wisdom, care and concern for my mother exceeded all of our expectations. Anyone would be lucky to have her representing them.